The Simple Nightstand - Oak & White from the Simple collection by Vox has specially selected finishes tailored to complement a contemporary environment. 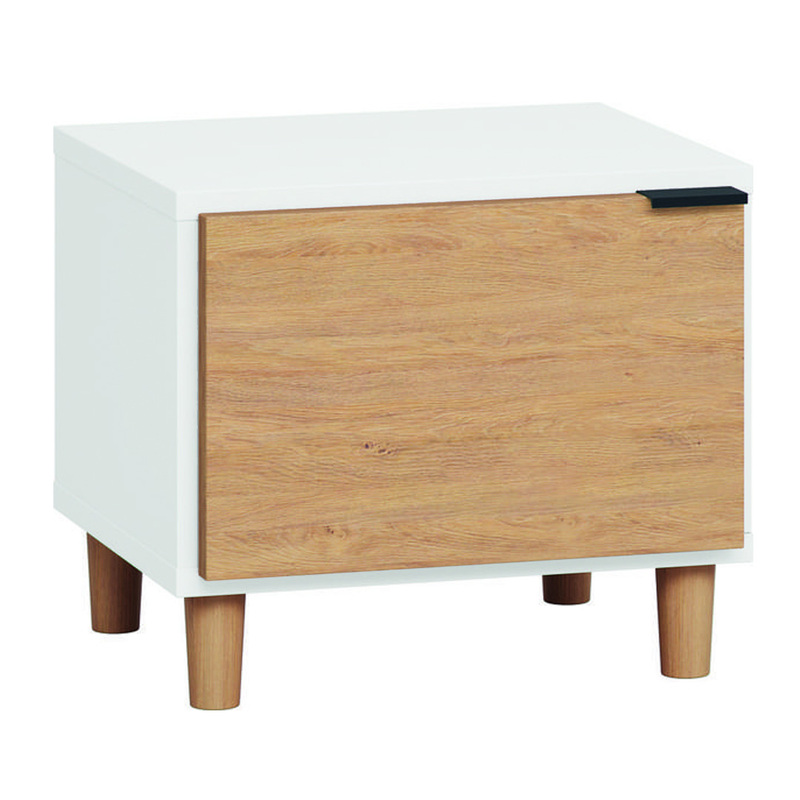 Perfect for teenagers and kids rooms, this Simple Nightstand features durable materials and elegant contours. 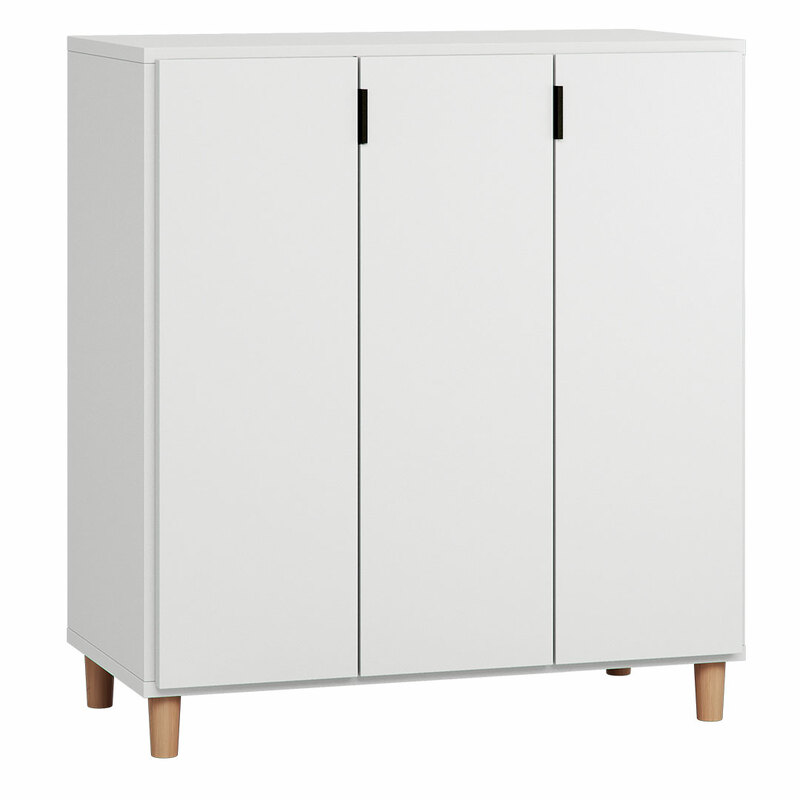 The white frame and easy swing door in oak, combined with the sturdy wooden legs are both practical and on trend. 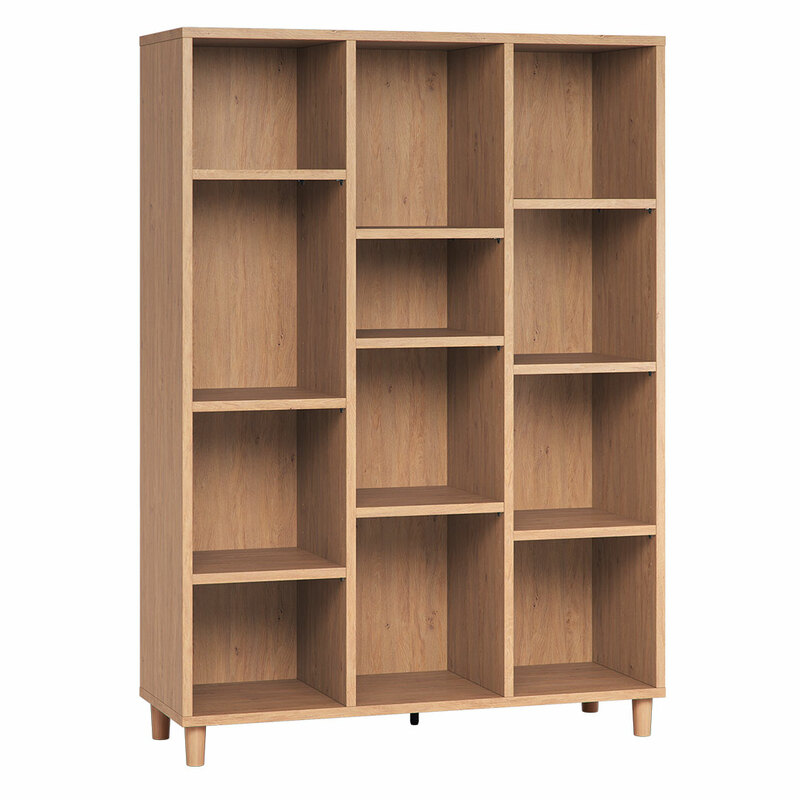 The door has a neat black handle in the top right hand corner, opening onto two spacious shelves. 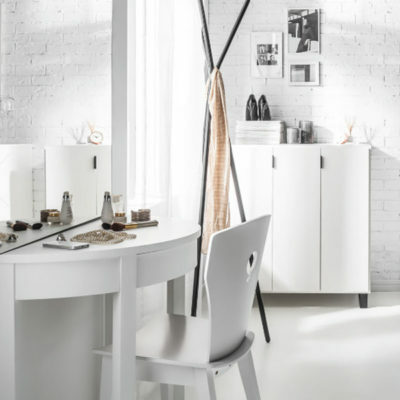 Furniture from the Simple collection by Vox are made of laminated chipboard with thickness 16 or 22 mm. The chipboard is characterized by very low formaldehyde emission and falls into the E1 hygiene class. The rear walls of the furniture are made of 2,5 mm-thick HDF board. White and black fronts and casings are made of painted board with Soft Touch finish. All visible edges of the boards are covered with edge strip made of ABS plastic with a thickness 0,8 or 2 mm. Painted elements are also finished with painted edges – rim is unseen. The high-quality appearance of the furniture is increased by covering the edges on the back of furniture with 0,3 mm-thick paper strip.